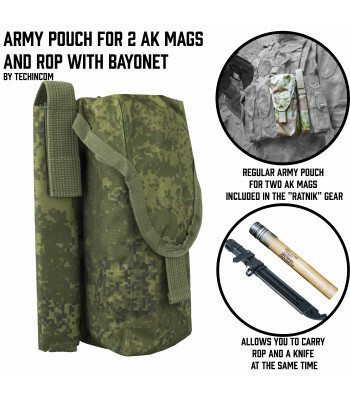 Here you can find the most popular type of pouches - closed type pouches. 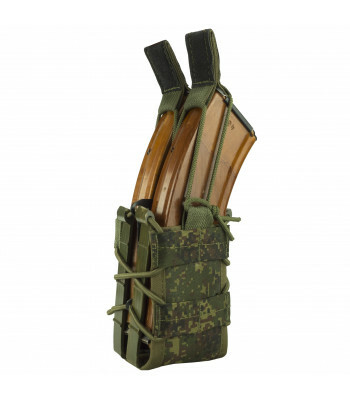 They are main feature, that they are fully closing. 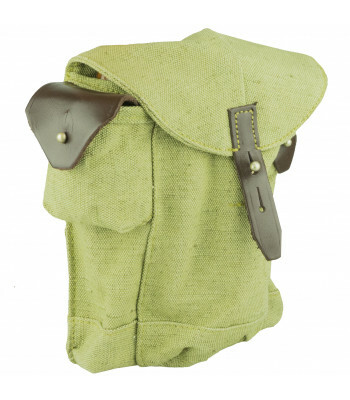 It's provide protection against dust, dirt and sand, that especially important in the forest or in desert or in field. 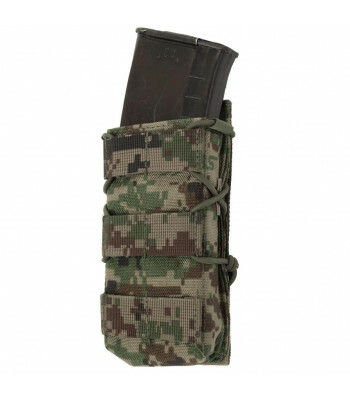 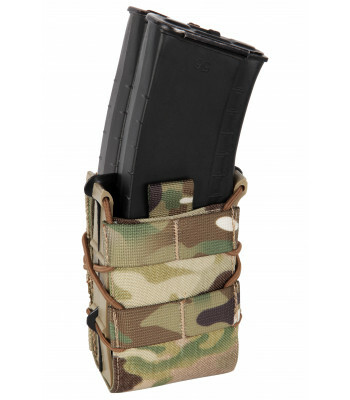 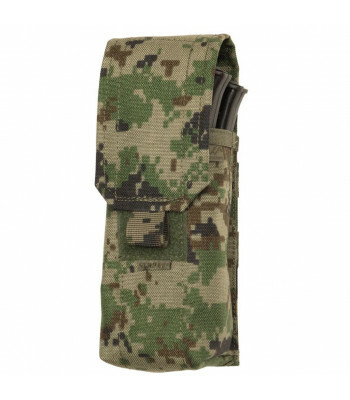 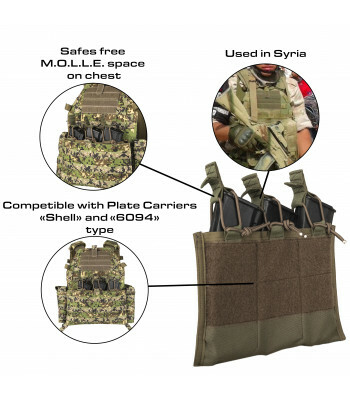 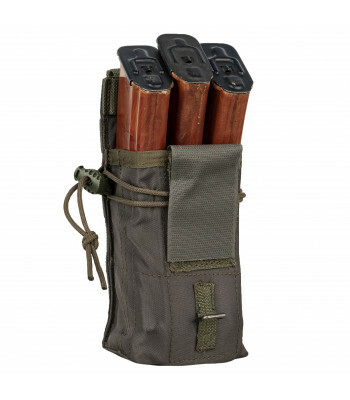 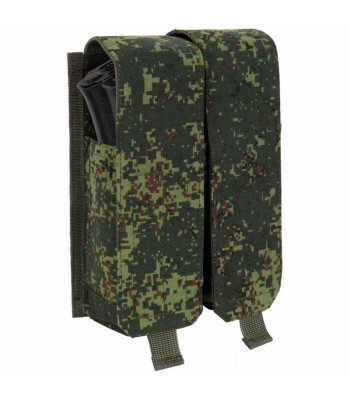 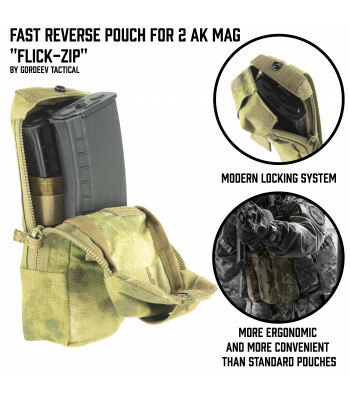 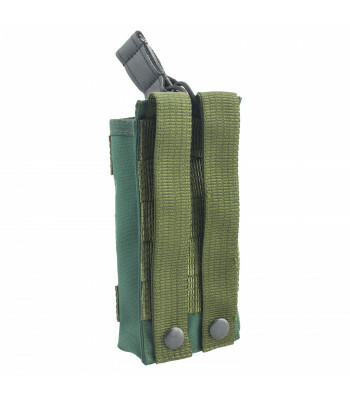 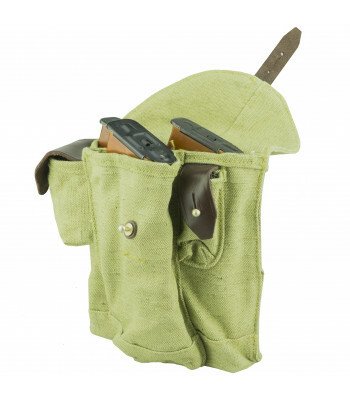 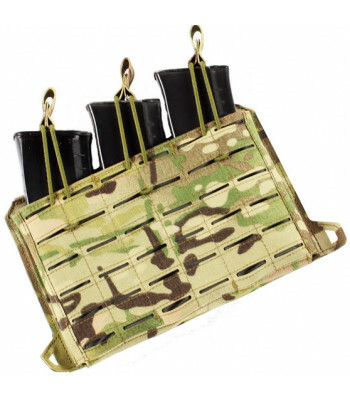 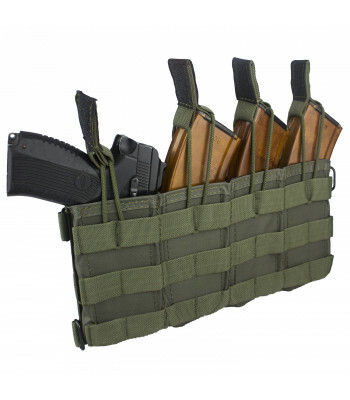 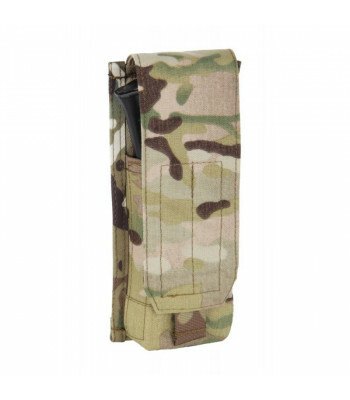 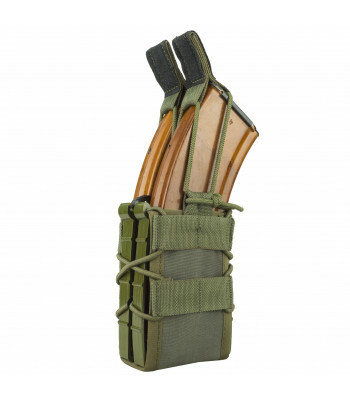 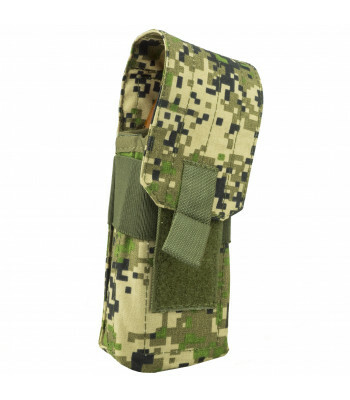 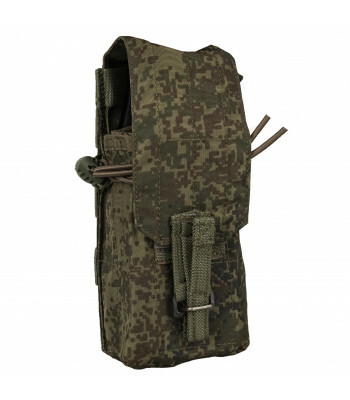 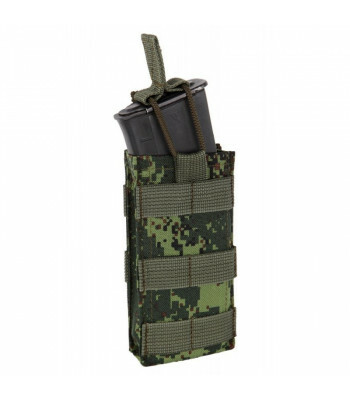 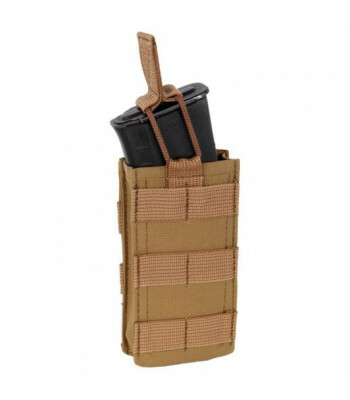 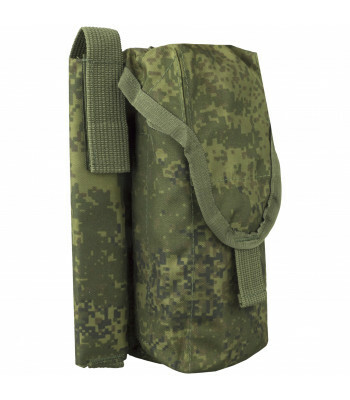 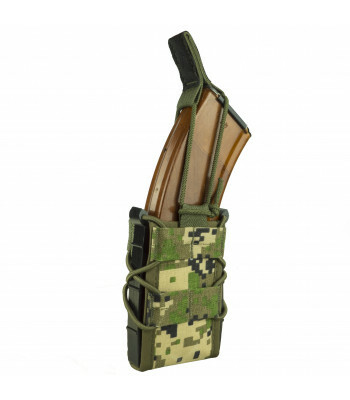 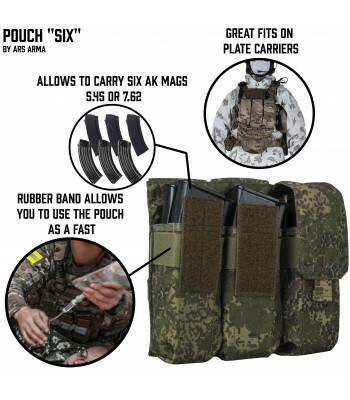 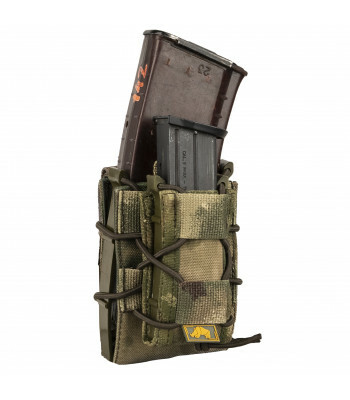 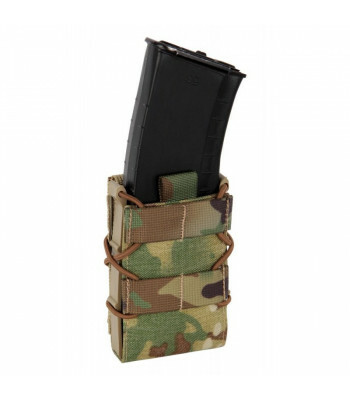 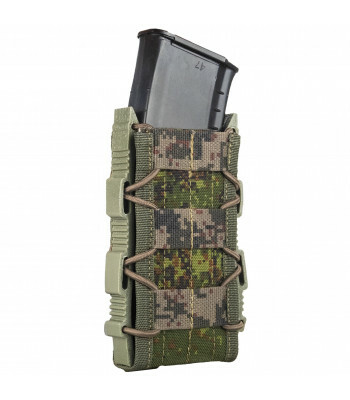 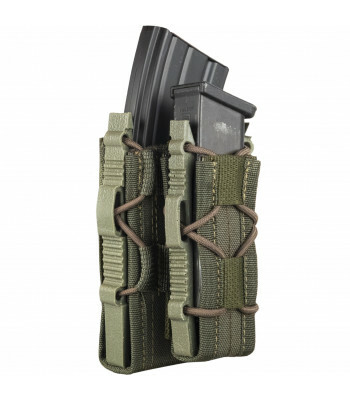 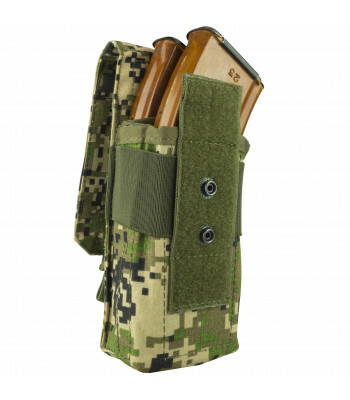 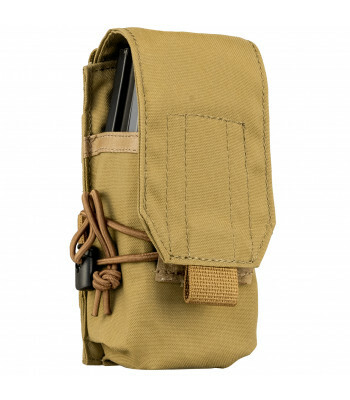 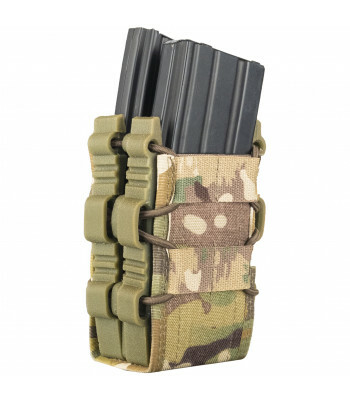 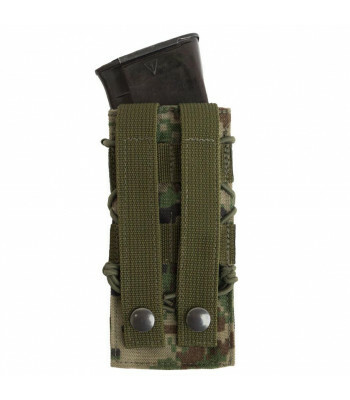 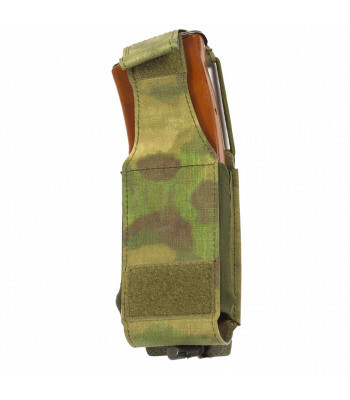 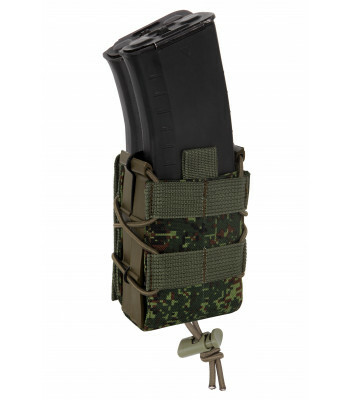 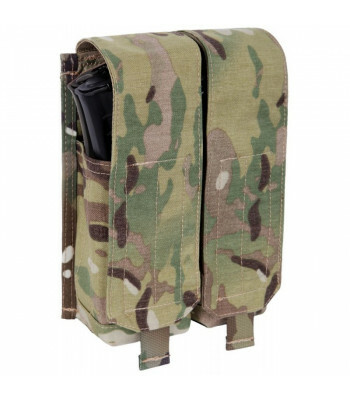 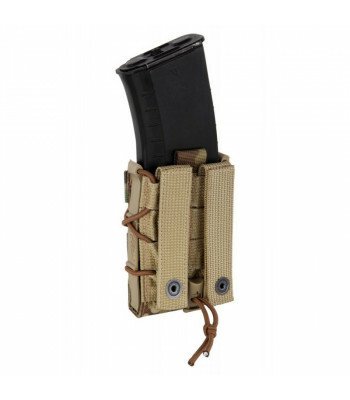 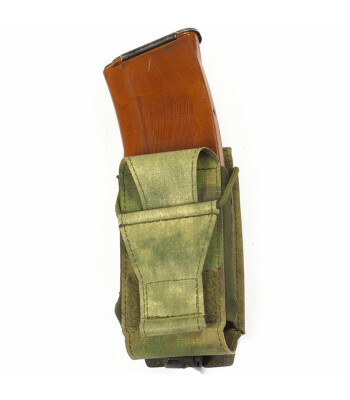 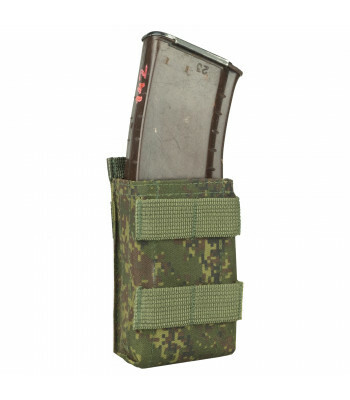 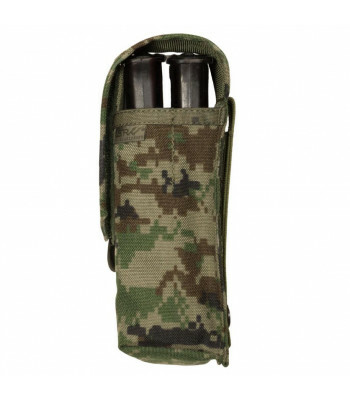 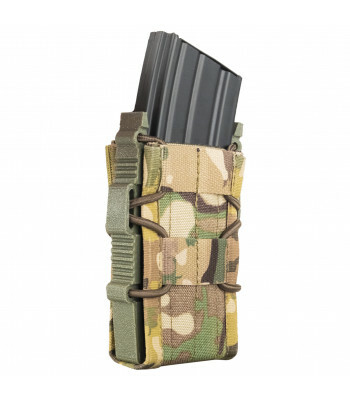 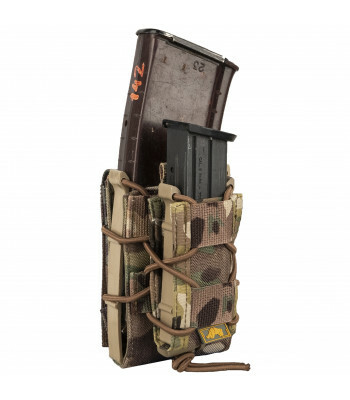 This pouch is designed for 2 AK mags placement and provides the mags wit..
OVERVIEWAK pouch for 2 mag.DESCRIPTIONFeatures include: ● Mounts via M.O.L.L.E.● Closed with ve.. 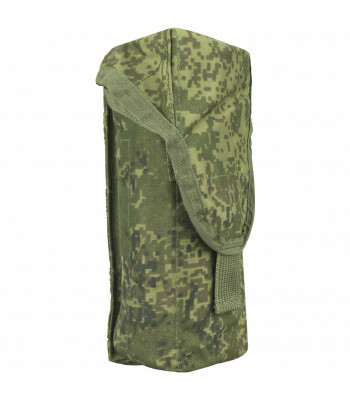 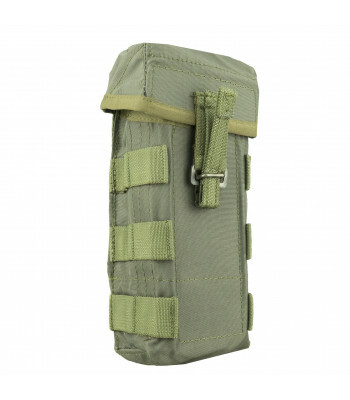 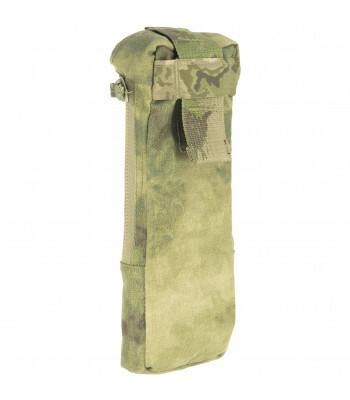 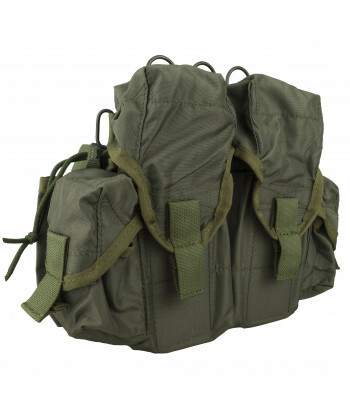 This pouches are created for Specops operators, who need to recharge as fast, as they can. 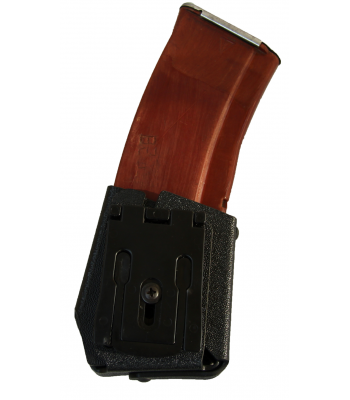 Each additional second can save their life. 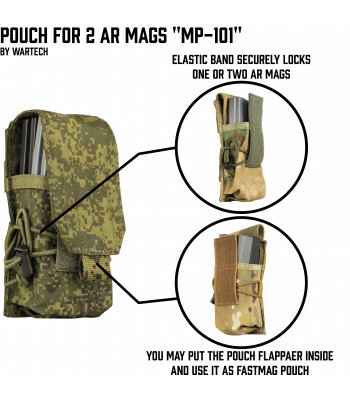 Inside of this pouches placed plastic insertions, which working as a rail for Mag. 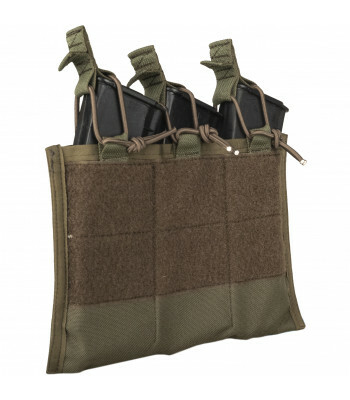 All of this pouches working with ALL mags, including M4/M16 and similar one. 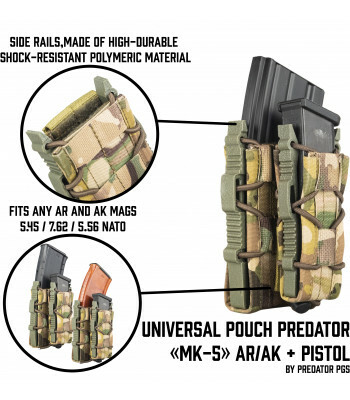 Main minus of this pouches - they don't provide full protection against dust and dirt, but if you are planing to play in CQB - it's the best choice. 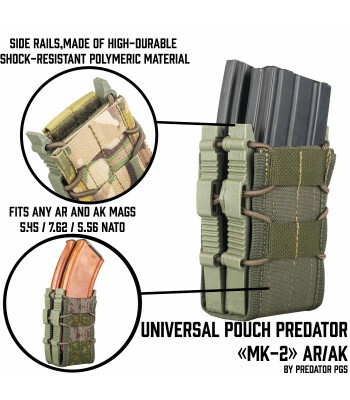 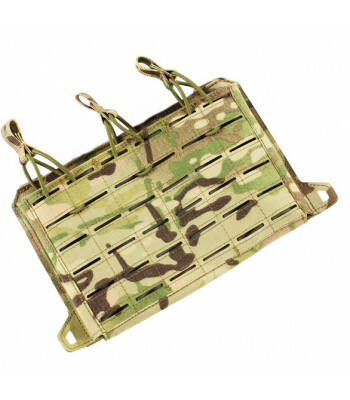 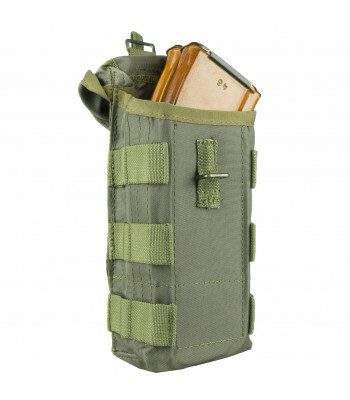 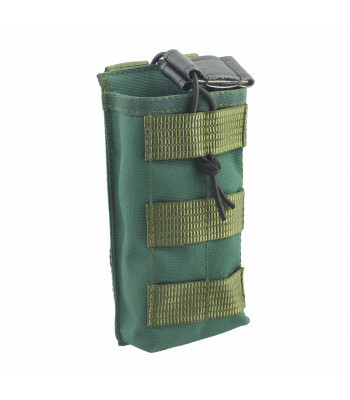 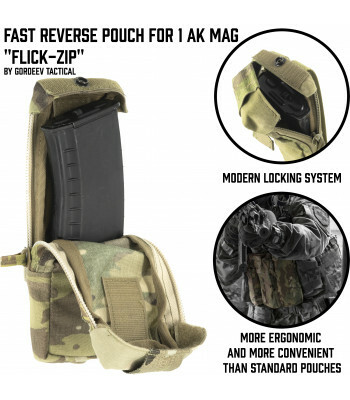 OVERVIEWPouch for quick reloading for AK and M4/M16 magsDESCRIPTIONFeatures include: ● Holds 1 .. 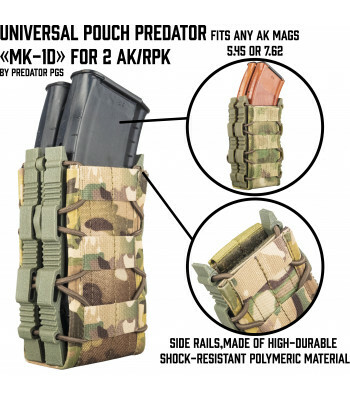 This pouches doesn't have top part, so, they don't provide full protection against dirt and dust, but in the same time they are cheaper, lighter and smaller, than Closed or Fast pouches. 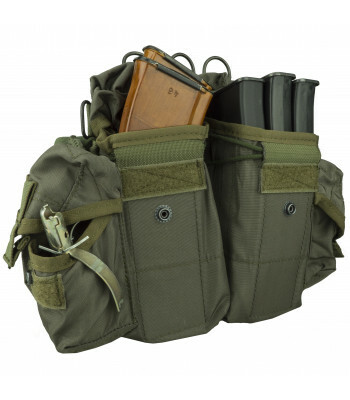 So, if you are planing to make light scout kit, if the best choice for you! 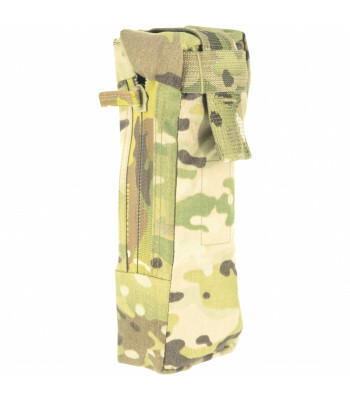 Quick Access Pouces. 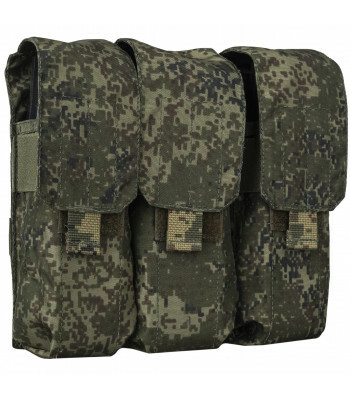 Used by Russian Special Forces. 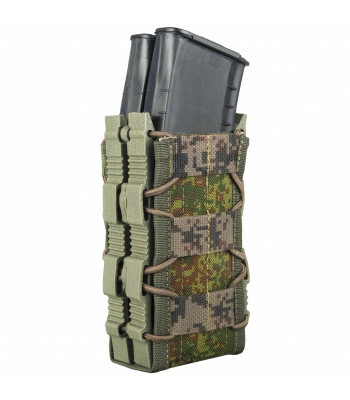 Very usefull for Airsoft. 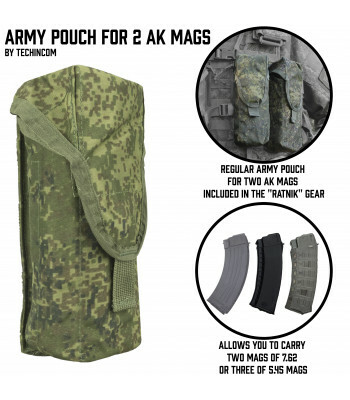 Can fit AK74/47, M4 m..
Fast Pouch (Shingle) for AK. 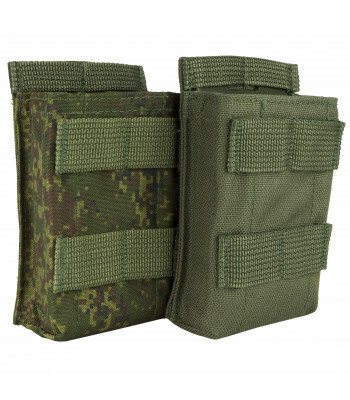 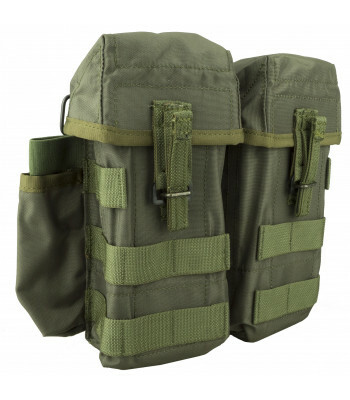 Can be placed on Molle, or belt. 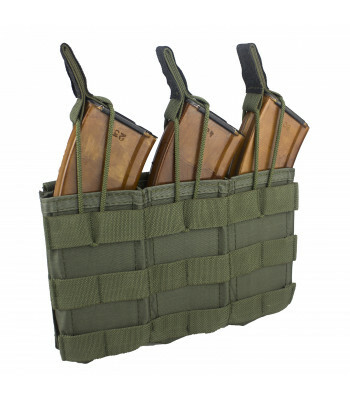 Can fit AK 5.45x39, AK 7.62x39. 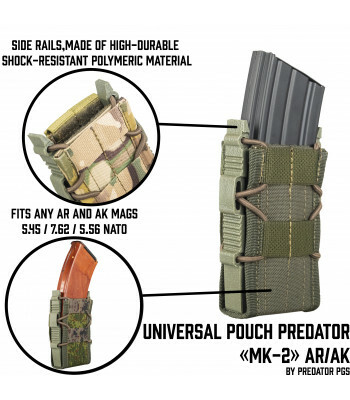 R..
Fast Pouch (Shingle) for AK or VAL Pouches. 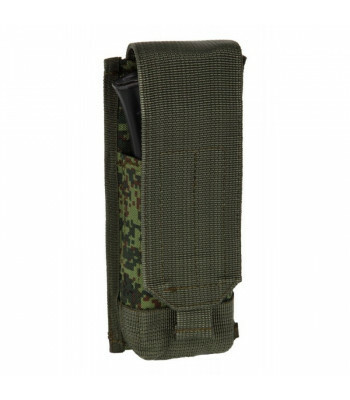 Can be placed on Molle, or belt. 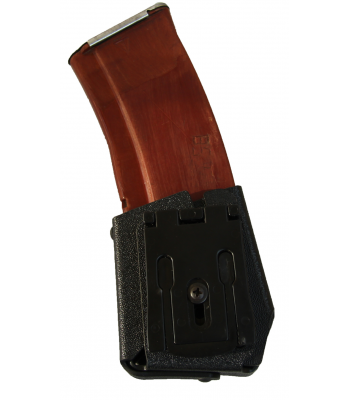 Can fit AK 5.45x39, AK .. 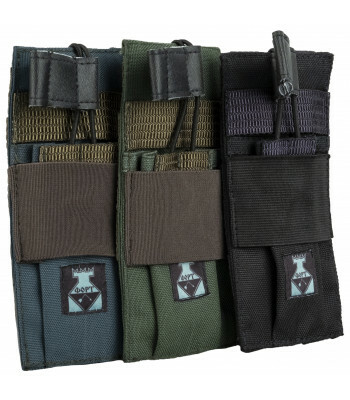 Here you can find all other pouches, not included in all other categories. 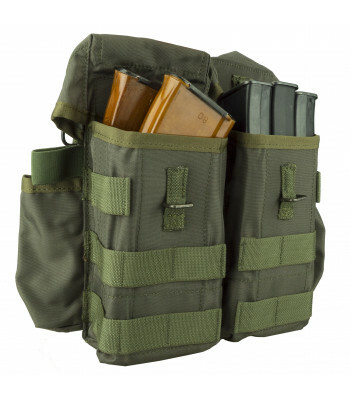 And, yeah, i am too lazy to add something else in description. 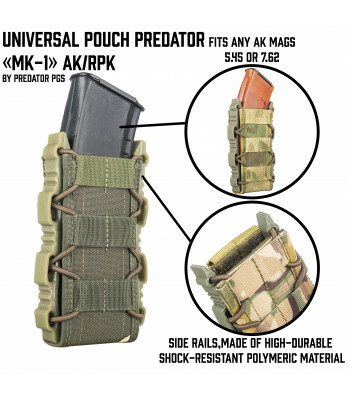 Reverse Flap pouch for AK/AR/VAL mag "Uhvat"